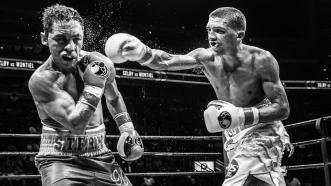 PBC recently caught up with 126-pound IBF world champion Lee Selby ahead of his upcoming title defense on December 9, 2017, against Eduardo Ramirez. See what he had to say about the fight and what's in store for him in 2018! On October 10, 2017, Lee Selby and Carl Frampton exchanged some choice words on Twitter. 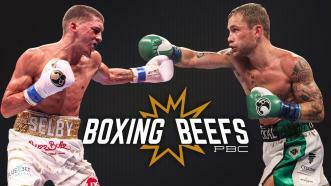 Could a 126-pound throwdown be in the cards for these two championship-caliber fighters? 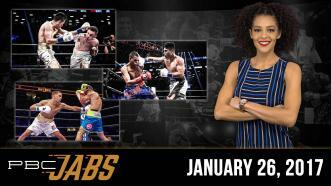 On this episode of PBC Jabs, we preview the Jan. 28th card on Showtime, Carl Frampton joins us for a round of Rapid Fire and IBF world featherweight champ Lee Selby checks in. 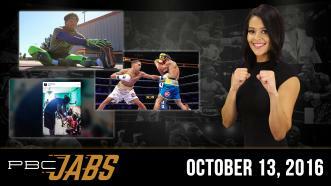 This week on PBC Jabs, we hit the ground running with Shawn Porter, head across The Pond to catch up with world champion Lee Selby and see how Andre Berto is making a difference Haiti. Welshman Lee Selby defended his 126-pound world title in his U.S. debut with a unanimous decision over former three-division champion Fernando Montiel. 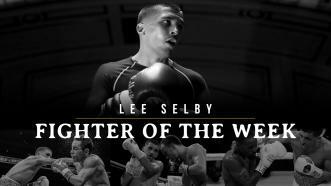 Lee Selby consistently landed the harder shots, rocking Montiel with both hands en route to winning a unanimous decision and retaining his world title.